At the northernmost point of the Red Sea, on the southern border of Israel, lies the eternal resort town of Eilat. The magical and wild landscape of Eilat. The magnificent Edom mountain range and their legs from the blue bay days have always attracted tourists and visitors from all over the world. 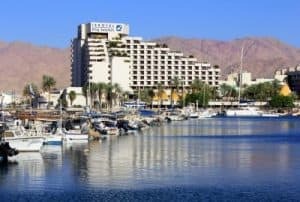 Alongside the standard hotels, the city of Eilat offers Accommodation and recreation, Which provide a more quality alternative to a hotel vacation. Vacation in a holiday apartment is more spacious, with full privacy, home-cooked meals or a choice of one of the city's many restaurants. Recommended local and tourist restaurants are close to Tangier Holiday Apartment. The city of Eilat is also called the eternal city of the sun, because the weather is warm and pleasant throughout the year. The temperature of the Gulf is between 20 and 28 degrees and you can enjoy swimming and recreation at sea even in the winter. For beach sports enthusiasts, on the North Beach, which is a 5-minute walk from the resort apartments Paros, Vista, Eilat, Chinese, sea and End (Soof) - Kayaking, rafting can be rented Kate Cerf And boats. For a more extramarital experience, tubing, paragliding, water skiing and jet skis. Under the calm waters, the true treasure of Eilat - the coral reef. Among dozens of different coral types. The reefs have a variety of colorful fish and sea creatures such as crabs, octopus, mornas, sea turtles, sea bats and more. One of the most exciting experiences is to dive for the first time on the coral reef or with dolphins. Other ways to enjoy the magical underwater nature, by free diving with mask and snorkel, sailing in glass boats or visiting the underwater observatory. Hosting atVacation apartments in Eilat Always accompanied by personal attention and makes the whole visit to Eilat more authentic. Those who choose to spend their vacation in Yanis' accommodation will enjoy a variety of discounts on various attractions and recommendations on places of entertainment and restaurants.